Before you start. Did you enter correct Username and Password? 1. The date on your computer needs to be set properly. Double click the clock verify that the time and date are set. 2. If your password information is not saved, verify that you are typing it in with the correct case (uppercase or lowercase). 3. Change your password at http://passport.com to something smaller (under 10-12 characters), then try signing in again. 4. If you use a firewall (like ZoneAlarm, Norton Internet Security etc. ), it's possible that Messenger doesn't have the correct rights to access the Internet, especially since you upgraded. You may need to re/add Messenger to the allowed list of programs in your firewall if this is the case. 5. If you disabled your firewall in the past, it still may be blocking Messenger. Try restarting it and see if that helps the situation. You also might try uninstalling an installed firewall, to verify that it isn't causing a problem (even if it is disabled). 6. Clear your IE cache and cookies. Open Internet Explorer, click the Tools menu, then Internet Options, then click the Delete Files button, and when that's complete click the Delete Cookies button. 7. Check your IE Security settings. Open Internet Explorer, click the Tools menu, then Internet Options, then Advanced tab, scroll to the Security section, and verify that "Check for server certificate revocation" is unchecked. Also verify that 'Use SSL 2.0' and Use SSL 3.0' is checked, then click OK.
9. 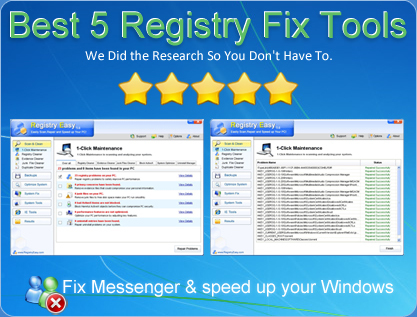 If using MSN Messenger 7, click the Tools menu, then Options, then Connection category, click the Advanced Settings button, uncheck all the options, click OK twice and then try again. My Msn Got Hackedd *&& Whoever Hack it chenged my pass...Soo I MadeNeww Msn && Now My New Msn Doesnt Work Either && I Tred All The Tips Nothing Works..HELP!! Try and install the new msn messenger, the old ones can stop working and it does say this when the updates pop-up. 2. Click Sign in with a different account. 3. Enter the Windows Live ID that you use with Messenger and the correct password. 4. Click Sign in to verify that you can successfully sign in by using this account. 5.b. Click Sign in with a different account. 5.c. Enter the ID, and then click Forgot your password. 5.d. Follow the steps in the wizard to reset your password. 5.f. After you successfully reset your password, go to the next step to update the settings. 6.a. In the Messenger sign-in window, select your e-mail address from the E-mail address drop-down list. If you do not see your ID on the list, go to step c.
6.b. Click Forget Me, and then click Yes to confirm the deletion. 6.c. Type your e-mail address and your password. 6.d. Select the Remember Me and Remember my password check boxes to save your sign-in information, and then click Sign in. How do I sign up Live msgr using my gmail id. It still gives the same error 80048821 even on typing correct (in all aspects) password. Pls guide me.. I know this way sounds stupid, but it actually worked for me, so I guess you never know. I accidentally typed out all my information (ID, and pass.) in capitals, and it worked! I know whats wrong with my msn. My "friend" has this program he can run and it makes people not be able to log onto their msn. and I get error code 80048823. But when he stops running the program I can log in. I need to find away to get past the program and back on my msn so I can delete and block this "friend" of mine. someone added me to msn and froze my account by using a freezing program that types incorrect passwords into your account till you cant sign in anymore. i need to unfreeze it. how can i unfreeze my account? the error code is 80048821. PLEASE HELP! TRY YOUR EMAIL IN ALL CAPS IF ITS AN OLD MSN ACCOUNT. THIS SOUNDS SO STUPID I JUST TRIED A CAPITAL FOR THE FIRST LETTER AND GUESS WHAT IT WORKED. buy wow gold,cheap wow gold,world of warcrft gold. But my other account los in straight away, ad everybody elses msn works fine! It is onl my mai account that does not work, I have the feeling someone might hav disable my main account frm windows live as it works on sites such as ebuddy and iloveim!!! This error code can be caused by the lack or loss of windows a windows live account. If your trying to log into messenger when the account isn't there this is the code it gives. Try simply (re) registering your email addy/account & verifying it again. I've used this method & it works. I don't know what had happened to my msn, I can still sign in yesterday but now it can't. It shows error code 80048823. I'm pretty sure that my email and passwords are correct but why can't I sign in? I tried to reset my password, but it can't sent to the hotmail, it did not send to the alternative email neither. PLS HELP!! thx for the time.. hope to hear from u soon! have read thru all the posts on here and cant find anything similar to my problem. basically i cant actually type into the password box...no curser appears and when i type of course nothing appears. got error code 80048821 one time, other than that it tries to sign in but then just stops and stays on login page. doesn't show an error code or anything. Hi, i just created a NEW gmail account and it doesnt seem to be able to login to windows live messenger, with the error code 80048821. I made sure my email address was correct, and that my password was also correct. I tried changing to a new password to see if that would work, but no luck. The weird thing is, that my OLD gmail account is able to login fine. stupid program that MS keeps asking to change sign in names for - stupid and typical of MS to make it riddled with holes and bugs. I forgot the answer to your secret question, wt can i do ? The module "initpki.dll" failed to load. Make sure the binary is stored at teh specified path or debug it to check for problems with the binary or dependent .DLL files. I have tried all of this! I hate MSN...I tried all the way that people said in this page but it still shows me THE WINDOW OR LIVE ID U ENTERED IS INCORECT :S:S:S with the same data i get in gMail...can anyone help me?? ?